Everyone gets ten dice. Someone says "Go". 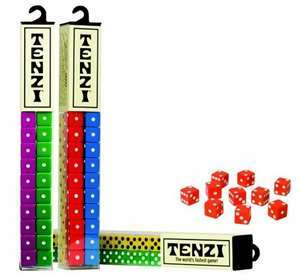 Then everyone rolls and rolls as fast as they can until someone gets all their dice on the same number. Sure, there are a few more rules, but you get the idea! Directions for alternative ways to play are included. 4 sets of 10 colored dice included.